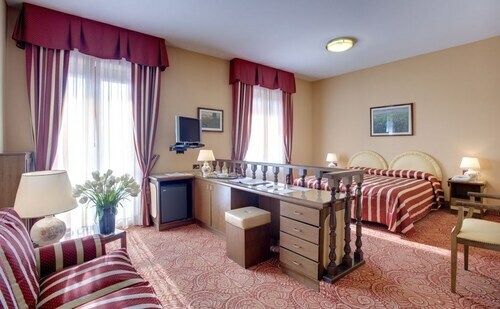 Located in the heart of Alba, this hotel is within a 5-minute walk of Civic Museum of Archaeology and Natural Sciences Federico Eusebio and Maddalena Courtyard. Teatro Sociale George Busca and Alba Cathedral are also within 10 minutes. Alba Station is only a 2-minute walk. Situated in Alba, this hotel is within a 10-minute walk of Civic Museum of Archaeology and Natural Sciences Federico Eusebio and Maddalena Courtyard. Teatro Sociale George Busca and Alba Cathedral are also within 15 minutes. Alba Station is 9 minutes by foot. 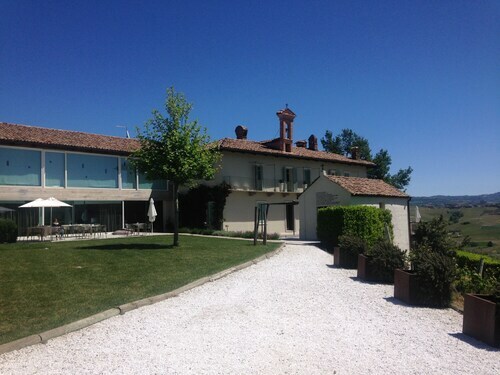 Situated in a rural location, this luxury hotel is 1.8 mi (2.9 km) from Castle of Serralunga d'Alba and 2.9 mi (4.7 km) from Azienda Agricola Boasso Franco - Gabutti. Renato Ratti Cantina and Cappella del Barolo are also within 9 mi (15 km). 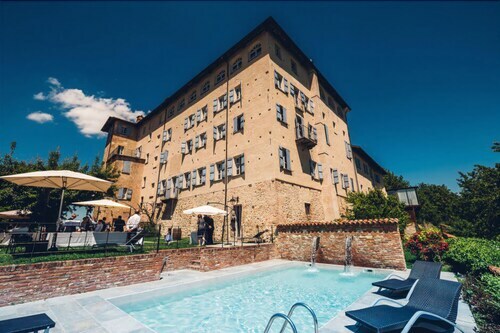 Situated in a rural location, this historic hotel is within 6 mi (10 km) of Novello Castle, Castello Falletti Di Barolo, and Barolo Wine Museum. Cappella del Barolo and Renato Ratti Cantina are also within 9 mi (15 km). Located in the heart of Alba, this hotel is within a 15-minute walk of Teatro Sociale George Busca and Maddalena Courtyard. Cappella del Barolo and Barolo Wine Museum are also within 9 mi (15 km). Alba Station is 11 minutes by foot and Mussotto Station is 20 minutes. Situated in Barolo, this golf townhouse accommodation is 0.5 mi (0.9 km) from Cappella del Barolo and 1.4 mi (2.2 km) from Barolo Wine Museum. Novello Castle is 3.9 mi (6.3 km) away. 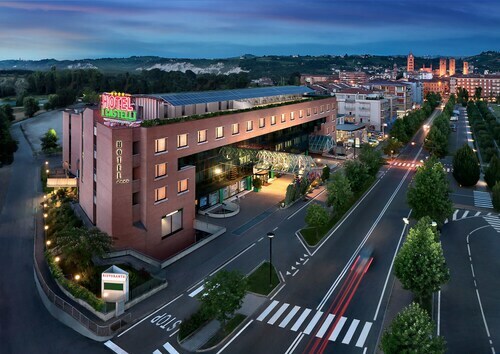 How Much is a Hotel Room in Langhe Region? Hotels in Langhe Region start at $100 per night. Prices and availability subject to change. Additional terms may apply. Pack your bags—it’s time to embark on a getaway. Whether you’re craving a solo retreat or promising your family a vacation to remember, book one of the best hotels in Langhe Region. These hotels are located within easy access of the city’s hottest attractions and entertainment, so you won’t miss a beat while you’re in town. Spend the days exploring the local landmarks and the evenings getting to know the nightlife. After exploring the city from top to bottom, rest up at a hotel that speaks to you. Find the perfect place that matches your trip’s vibe, from a trendy boutique to family-friendly accommodations. 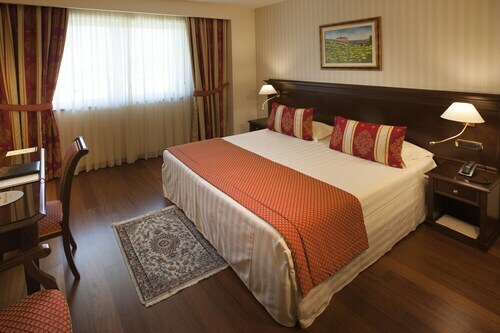 Allow us here at Travelocity to pair you with up Langhe Region hotels that suit your vacation preferences. Discover places with convenient on-site restaurants, around-the-clock service, and pools where your kids can make a splash. Some hotels may boast fitness rooms and spa services, while others feature game rooms and Wi-Fi access. To top it all off, you’ll score cheap hotels in Langhe Region that let you spend more on your activities and less on your lodging. Book and bundle your flight and hotel deals together today and save up to $537. It’s time to explore a new city, and break out of your routine. The views of Serralunga from Il Boscareto are breathtaking. The pools are absolutely gorgeous. Taking a dip in their whirlpool upon arrival was one of the highlights of staying here. The rooms are big and the bathrooms are beautiful. They have great products to use for shampoo and conditioner and the rooms are very big which was great. The cleaning staff do a great job. Another highlight of my stay here was taking a hike to Sinio from the hotel. I walked down through a road that ran through the vineyard leading down to Sinio and then hiked back up a leg of the Langhe hiking trail that lead me back to the road to the hotel. The scenery around Serralunga is a reason that I came to the Langhe it is incredible. I think there are probably other hikes and bike rides that you can take through the area. The servers in the bar and downstairs restaurant seem very slow and unattentive considering this is a luxury resort. I just think they need to be trained a little better but they were very nice. The breakfast was huge and plentiful and when I ordered room service they bring you tons of food. The lighting in the room was a bit awkard and confusing to deal with and so was the television. I could not figure out how to get English language stations and I just didn't want to deal with the hassle of going through the hotel staff. This is a luxury hotel but it somehow just misses the mark on service.